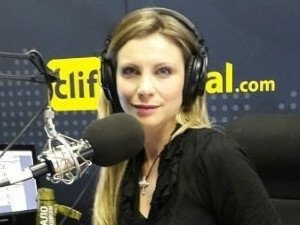 Rianette Leibowitz, CEO of SaveTNet Cyber Safety. We live in the age of the digital dilemma: where there are no set rules for social media behaviour. This is the word from Rianette Leibowitz, CEO of SaveTNet Cyber Safety, speaking during a panel discussion yesterday at Eduweek 2017 in Johannesburg. "Being part of the school's governing body in today's time is no easy task. Social media presents a digital dilemma where most schools don't have a policy framework to deal with cyber bullying. The use of social media is like having one digital highway that we all glide on and we all have different ways of behaving and looking at this highway," Leibowitz explained. Usually, pupils use social media apps without even realising they are below the age restriction, she continued. "WhatsApp initially had an age restriction of 16 years and now it is13 years, and so do most social media platforms. That's why we need to have these social media policies in place and look at the community rules laid out by these platforms," noted Leibowitz. Van der Berg pointed out that every week there are new cyber bullying cases at schools where the governing body doesn't have an existing policy and doesn't know how to approach the situation. "We've seen quite a few very difficult examples of social media bullying: girls sending images of themselves in a compromising position to friends; girls being harassed by boyfriends to send certain images of themselves and then what happens when they break up is that the revenge images resurface on social media. Up to 25% of girls under the age of 15 have reportedly sent images of themselves in a compromising position," he explained. All public schools in SA, he continued, need to be governed by a democratically elected governing body. Schools usually wait until it's too late, once the bubble has burst, and only then do they realise how much they need to create policy around social media. "The Constitution of SA is the most underrated document; more people should take more time to read and understand it. This is the constitutional framework that protects children. It entails a few acts aimed at protecting children, including the Protection from Harassment Act, the Criminal law Act, the UN Convention on the Rights of a child, and most recently the Protection of Personal Information Act." It's critical to understand that once data is posted online, especially someone's personal information, you can't just distribute that or use it for your own gain. "Schools need to understand the risks and how to manage them," he noted. Leibowitz highlighted the dire consequences of cyber bullying, where some pupils have committed suicide, quit school or become depressed. "There is no reason why anyone should even consider suicide because of cyber bullying and other cyber-related crimes. Your value is not determined by what's being said online. We have the power to break or make someone's day by controlling how we use our fingertips. When you choose to forward the photo that was accidentally shared in a WhatsApp group, there will be consequences," she concluded.